Anyone who has seen the hit American TV show Storage Wars will know that people leave some very strange things in their storage lockers…and then forget about them! These storage auctions makes for great TV, as you never know what they are going to uncover next and which eccentric character is going to bid the most for the contents of the mysterious box. So far we haven’t quite found our Laura Dotson to preside over the auctions, so instead we list all the storage containers on eBay so you can bid for them directly on there, or submit a bid to storageauctions@storagegiant.co.uk. If you have any questions at all then please do not hesitate to get in touch at the email address above. 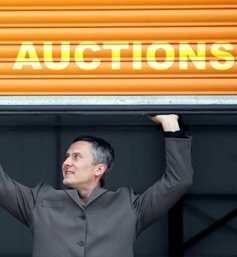 You can also sign up to our storage auction newsletter and get the latest news straight to your inbox.